NAMIBIA HAS ONE OF THE MOST PRODUCTIVE FISHING GROUNDS IN THE WORLD, DUE PRIMARILY TO THE PRESENCE OF THE BENGUELA CURRENT. UP-WELLING CAUSED BY THE CURRENT BRINGS NUTRIENT RICH WATERS UP FROM THE DEPTHS THAT STIMULATE THE GROWTH OF MICROSCOPIC MARINE ORGANISMS. THESE IN TURN SUPPORT RICH POPULATIONS OF FISH, WHICH FORM THE BASIS OF THE MARINE FISHERIES SECTOR. NAMIBIA’S FISHING INDUSTRY IS WELL KNOWN FOR ITS WORLD CLASS CAPABILITIES IN HANDLING, DISTRIBUTING AND MARKETING MARINE PRODUCTS. The Namibian coastline stretches for 1572 km from the Orange River in the south up to the Kunene River in the north. The marine fishing industry is conducted from Swakopmund, Walvis Bay and Lüderitz. Fishing quotas are strictly enforced to ensure the sustainability of this resource. According to the Ministry of Fisheries and Marine Resources (MRMR), Namibia is Africa’s third largest capture fisheries nation after Morocco and South Africa and ranks among the top ten fish producing nations globally. The Namibian fisheries sector generated approximately N$10 billion in export revenue during the 2015/2016 season, a massive 43% increase from the N$7 billion in the 2014/2015 financial year. Growth in fish exports was mainly driven by increased exports of horse mackerel. 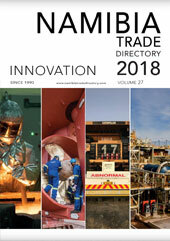 Namibia’s major export destinations for fish are South Africa, Zambia, the Democratic Republic of the Congo, Mozambique and Zimbabwe as well as Spain, Italy, Portugal. Namibia’s 200 nautical miles EEZ has a biomass containing about 20 different species. Out of the 20 species commercially exploited in Namibia, eight species are regulated through TACs set by the MFMR annually, in accordance with Namibia’s marine resource policy. These are pilchard, hake, horse mackerel, crab, rock lobster, juvenile horse mackerel, orange roughy and monk. The most important species for the local fisheries are hake and horse mackerel. Horse mackerel accounts for the largest catches in terms of volume. By contrast, hake is the most important fish species in terms of value and job generation. The local hake industry accounts for roughly 70% of the total employment created by the Namibian fisheries sector as a whole. Namibia has embarked on the development of aquaculture in order to create employment, reduce poverty and boost economic growth. Management of commercial fisheries is based on a system by which rights are granted, total allowable catches (TACs) are set based on research results and quotas are issued to rights holders. 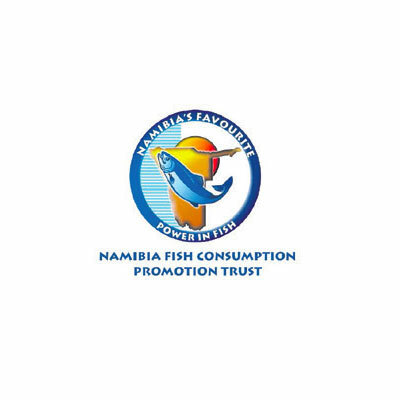 Namibia’s fishing industry is well known for its world class capabilities in handling, distributing, and marketing of fish products. As the custodian of fisheries and marine resources the ministry encourages the fishing industry at large to share information and other newsworthy developments in the sector. The primary responsibility of NAMFI is to provide maritime and fisheries training in order to enable students to take up qualified positions within the maritime and fisheries industries in Namibia and elsewhere. This builds capacity in the maritime and fisheries sectors in and around Namibia.